Writing or reading an article on which VPN service provider is the best VPN for China is certainly ironical. I say this is ironical because China is a country having the highest number of internet users in the world and at the same time it is a country having maximum internet restrictions in the world. China has blocked more websites than any other country in the world. Not only are the sites blocked, but police also regularly visits internet cafes to see if a person is accessing an illegal site somehow. Although this internet censorship is not popular with most people but they cannot speak up as Chinese punishment for questioning government’s authority is immense. China has blocked thousands of websites relating to various niches. 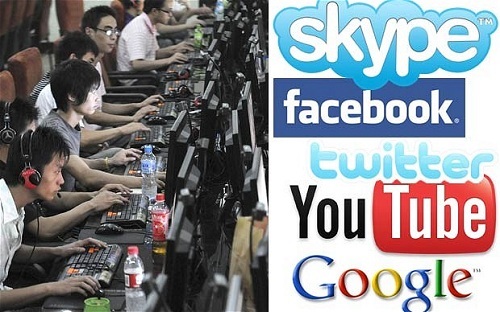 Out of the sites that are known worldwide, Facebook, Twitter and YouTube are blocked in China. Many people will be surprised to hear that as there are thousands of people who use the internet only for Facebook and YouTube. However, Chinese government has made its own sites to provide the citizens with a replacement to these websites. Another internet giant that has been blocked in china is Google. No service provided by Google like Gmail, Google Maps or blogger can be accessed in china. Google had reservations over some Chinese laws but China asked them to close down their business in the country. Chinese government has introduced BAIDU which is a local search engine. The motive of the Chinese government over these internet restrictions has been mentioned time and again. The Chinese government claims that the censorship has been done to prevent the western influence on the internet destroy the Chinese way of life and traditional family system. This, in a way is true as well. Immense western influence on the internet will certainly collide with the conservative and strict way of life of the Chinese but everyone should be given a free right to choose which culture he or she wants to follow. Many observers also say that this measure has been taken so that the strict way of governance of the Chinese government remains as far from the international eye as possible. VPN Service in China to the Rescue! Many people in China, which includes some Chinese citizens and many people who are from abroad but staying in chine for purposes of business or tourism are very uncomfortable with this ban. They cannot check their mail or communicate with their friends and family using Facebook. This certainly means that they are looking for a way to cross this censorship barrier and access unrestricted internet once again! Now there is good news for all of these people as China VPN Service will free the internet for you! VPN Service Lets You Access Unrestricted Internet in China and a lot more! Using a Virtual Private Network, you can now change your IP address to that of another country. This means that if you change your IP address to that of USA or UK, your internet will be unrestricted again as filtering is done on the base of IP address. VPN service can be availed with just a small fee and even the websites like Netflix and Hulu can be accessed if you are using a US IP Address. 5 Responses to "China VPN -Get Best VPN Service to Bypass Censorship"
i think you mean Millions of people that use the web solely for FB/tube.